In order to achieve company goals, it is paramount for employers to effectively communicate their vision to employees. Also, important is the provision of welfare to employees, for this seeks to encourage employee output and wok delivery. To achieve the above, it is important there exists a forum that encourages collaboration between workers and employees. In this post, I will be considering 2 platforms of promoting and fostering a collaborative environment between employers and employees. Both are Trade Unions and Joint Consultative Forums. Trade unions are organisations representing the interests of workers. They usually seek higher wages, better working conditions and a fairer share of the company's profits. Section 1, Trade Union Act, defines a Trade Union to be a combination of employees, or of employers, whether on temporary or a permanent employment basis, who come together with the primary purpose or objective of regulating the terms and conditions of the employment of employees, and resisting any practice that is in restraint of trade, and lawfully applying its funds to providing benefits to its members which benefits must not political in nature. It is mandatory that a Trade Union, before it commences the execution of its objectives, must apply for and be registered by the Registrar of Trade Unions in accordance with the provisions of the Trade Unions Act (as amended). a. There is evidence that there already exist a registered Trade Union that sufficiently represents the interest of the employees or of the employer in a class or industry whose interest the Trade Union intending registration, wishes to represent its members. b. 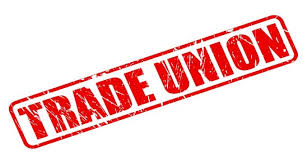 The proposed name of the Trade Union closely resembles that of an existing and registered Trade Union so as to be likely to deceive the members of the public or the members of the Trade Union itself. c. The purpose or objectives of the Trade Union is/are unlawful. d. The consent of the members of the Trade Union was/were obtained by force or by fraud. e. The purpose of the Trade Union has ceased to exist or the Trade Union has ceased to function. A breach of this statutory provision by a Trade Union ascribes to the Trade Union and every official of the Trade Union, with any member of the Trade Union that takes active part in the breach, legal liability and penalties as prescribed in the Trade Unions Act (as amended). · No employee of a company, who is a projection of the management team of such a company or who is within the management structure of the company, can be a member of or hold office in any Trade Union in Nigeria. · Also, no employee or employer can be an executive official in more than one Trade Union, at any one given time. · The membership of a Trade Union cannot be denied of an employee or an employer on grounds of ethnicity, race, religions beliefs or political opinions or affiliations. · Members of the Armed Forces, Police Force, Custom Service, Nigerian Security Printing & Minting Company, Central Bank of Nigeria, Nigerian Telecommunications Limited and every Federal or State Government establishment whose employees bear arms, cannot join or form a Trade Union. They can however establish consultative committees to protect their employment interests. 1. Trade unions can pursue collective bargaining giving workers a greater influence in negotiating a fairer pay settlement. 2. Trades Unions can also protect workers from exploitation, and help to uphold health and safety legislation. Trades unions can give representation to workers facing legal action or unfair dismissal. 3. Trades unions can help to negotiate and implement new working practices which help to increase productivity. 1. Trades unions only consider the needs of its members, they often ignore the plight of those excluded from the labour markets, e.g. the unemployed. 2. In many industries, trade unions have created a situation of a confrontational approach. 4. Trade union leaders may not seek the welfare of workers but may go on to enrich themselves. This is a group of people who represent the management and employees of an organization, and who meet for formal discussions before decisions are taken which affect the employees. · The establishment of the means for improved communication with the union. · An opportunity to discuss operational issues in a problem-solving manner. · A more positive labour-management relationship. · An opportunity to respond to constructive suggestions and valid complaints. · An opportunity for ongoing communication with management. · An opportunity to provide constructive input into operational problems. · An avenue to express employee and union concerns. · An opportunity to resolve ongoing issues.